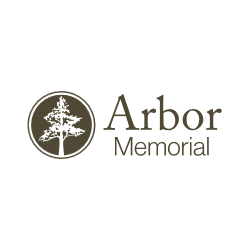 Arbor Memorial needed to increase productivity for their sales team and was experiencing challenges with pricing and functionality with the Professional Salesforce.com licensing model they were using. Arbor Memorial was able to get all the functionality they needed with a Microsoft Dynamics 365 professional license, without seeing an increase in cost. Arbor now receives better business intelligence, better data, and better reporting metrics than with Salesforce, Sales representatives can now easily take a lead directly through the sales process by eliminating the entire lead conversion step, Arbor now manages their CRM within the marketing division, who use CRM extensively to drive marketing efforts. Arbor Memorial was experiencing challenges with the Professional Salesforce.com licensing model they were using. Due to limitations with some of the functionality included within the professional license, their previous partner was not able to execute or develop Arbor’s instances without an enterprise license, which was a considerably more expensive licensing structure. CRM was being primarily utilized by Arbor’s sales staff. Arbor received feedback from the field on their main concerns with Salesforce, and what they ultimately wanted in another CRM system was one that was more user friendly and would result in them spending less time in front of a computer and more time meeting with families. Essentially, Arbor needed a system that was easier to use, with simplified methods for their business processes. I’ve noticed that a lot of other departments are starting to catch wind of the CRM fever,” says Loretta. “They are starting to ask, ‘Hey maybe CRM can do this for me?’ It’s a really exciting time here, and should be for years to come. PowerObjects helped Arbor Memorial clarify and define their key internal sales processes at the beginning of the project. With PowerObjects’ guidance and expertise, Arbor was able to develop what the final system would look like, see what functionality the system had out-of-the-box, and discuss how to make it as easy and user friendly as possible. Additionally, Arbor uses PowerObjects’ PowerPack Add-on, PowerWebForm to aggregate, track, and market to new leads. With this data, Arbor is able to track how many web forms website visitors are completing before they get in contact with an Arbor representative. PowerWebForm is also a critical component of Arbor Memorial’s referral processes. Arbor operates as two separate business units, a funeral division and a cemetery division. The cemeteries rely on referrals coming in from their funeral homes across the country. Before Dynamics 365 and the use of PowerWebForm, this referral system was a manual process. Arbor had to assign someone to populate and create the new contact referrals in CRM. An email would be sent to that person whenever a referral would come through. They in turn would have to go in to manually create the contact in CRM and assign it to the appropriate branch manager. Now the process is automated. Funeral homes enter information directly into PowerWebForm where it can be assigned to the correct Cemetery manager within CRM.  “We’ve had about 4,200 referrals come through with PowerWebForm so far and we’ve probably cut our referral process time in half,“ says Loretta. With Dynamics 365’s professional licensing structure, Arbor now receives better business intelligence, better data, and better reporting metrics than with Salesforce.  With this data, Arbor is informed so that they can make budget decisions, allocate funding appropriately, and ultimately measure the success or failure of marketing campaigns.